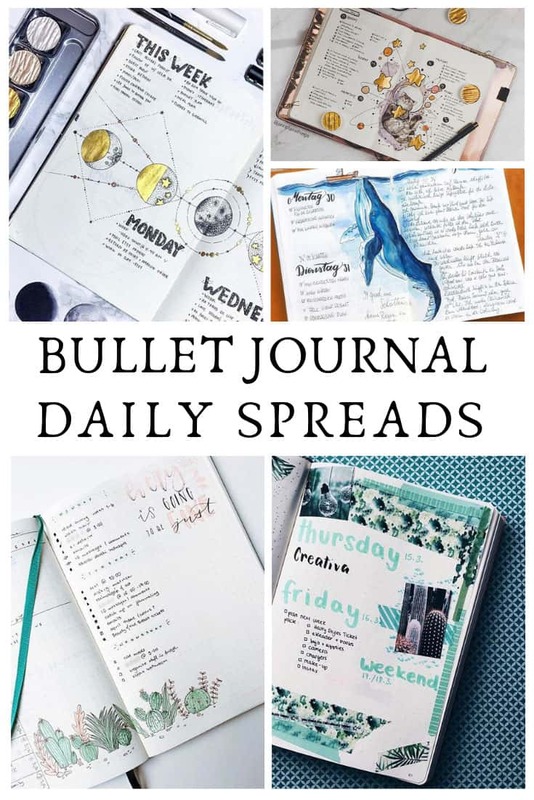 Looking for bullet journal daily spread ideas? We’ve got just the inspiration you need to try one out for yourself! 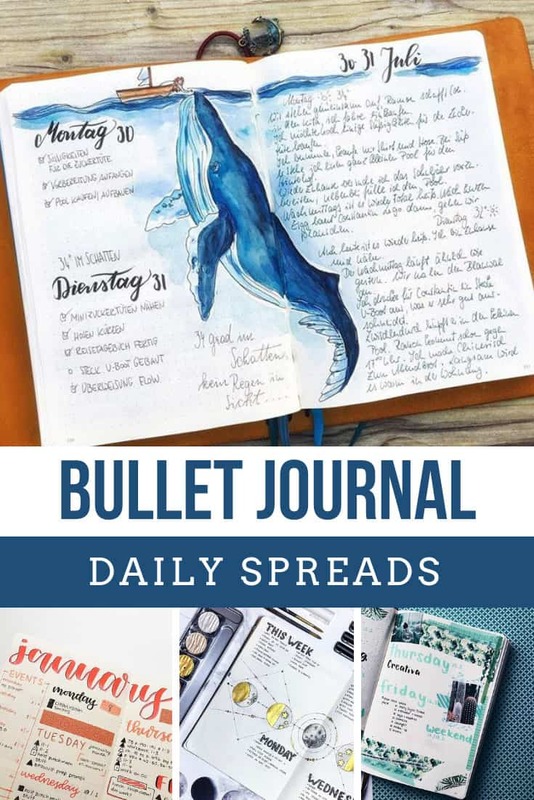 We’re back with another post in our how to bullet journal series and today we’re sharing some bullet journal daily spread ideas. 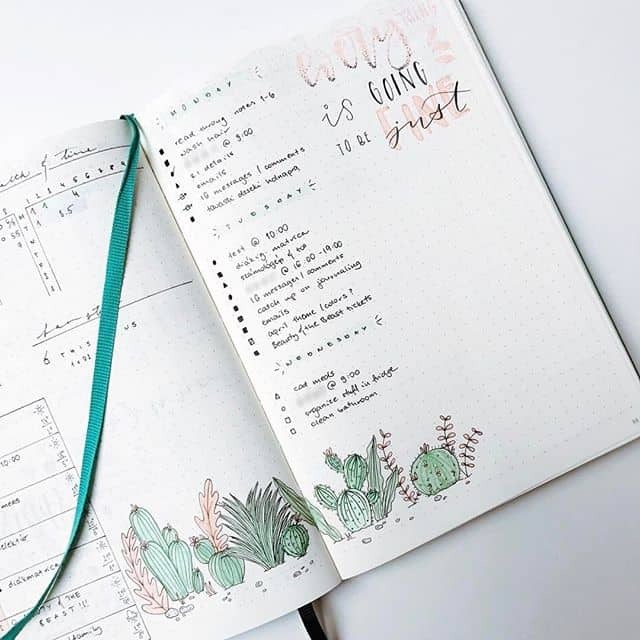 A daily log is part of the “authentic” bullet journal system because you don’t have to spend time each week drawing out a weekly layout ahead of time. 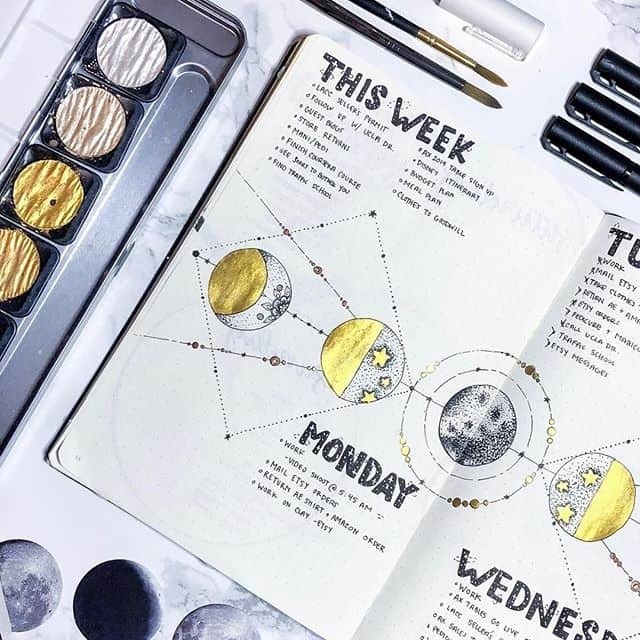 Instead you just write out tomorrow’s tasks and events, one day at a time, and you can use as much or as little space as you need depending on how busy you are. You might find that a week spans two pages in your journal or seven pages, and that’s ok. If you’re wondering what that actually looks like in practice take a look at these fabulous daily logs for inspiration. I like how this daily log also has a weekly events list in the sidebar so you can see at a glance things you need to do on certain days. I really like the hand lettering and washi tape embellishments to liven up the page! If you love inspirational quotes to inspire you during the week you can still make space for one alongside your daily log. See what I mean about the days taking up as much or as little space as they need? The Thursday entry here has just one word! 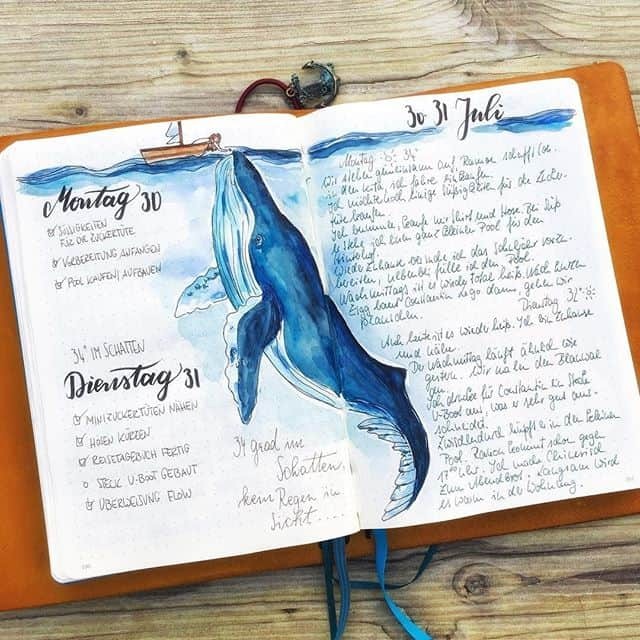 It’s another great example of how to use Washi Tape to bring your journal to life. 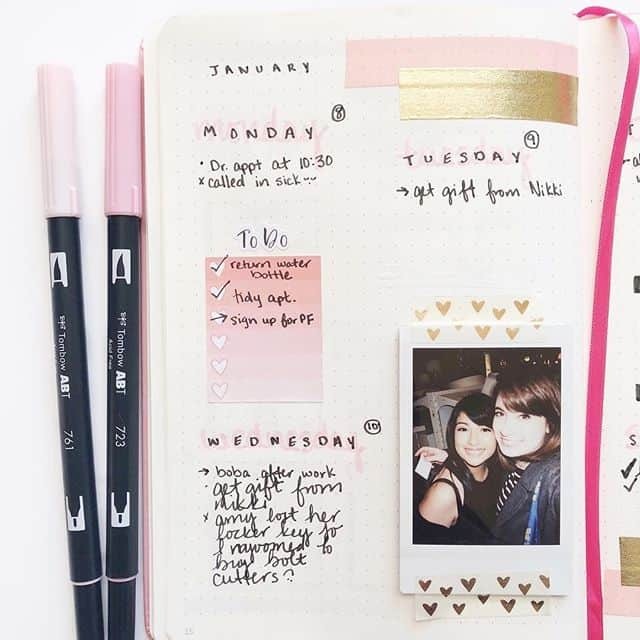 I love this idea of adding a little post it note into your spread to house your to do list. And the pasted in photo is a nice touch from a journalling aspect. 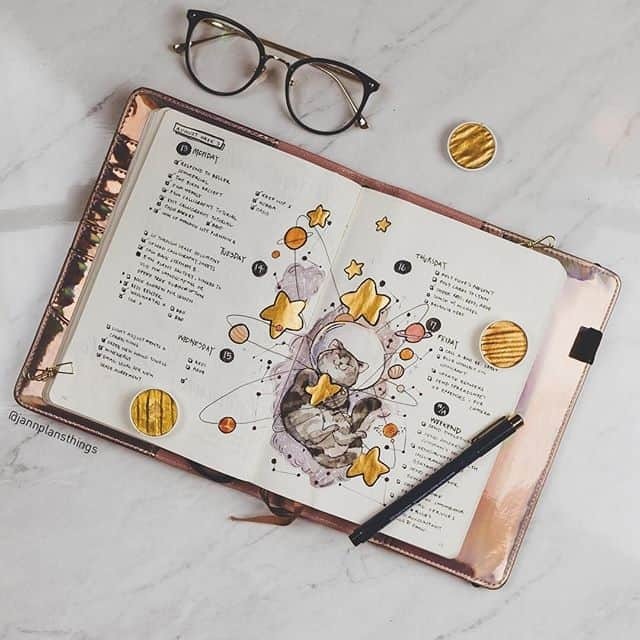 While rapid logging might be at the heart of the bullet journal system you might want to put the heart into your journal with some actual journalling every now and then. I like how the right hand side of the page has been used for journalling here since the month ended on the left side. 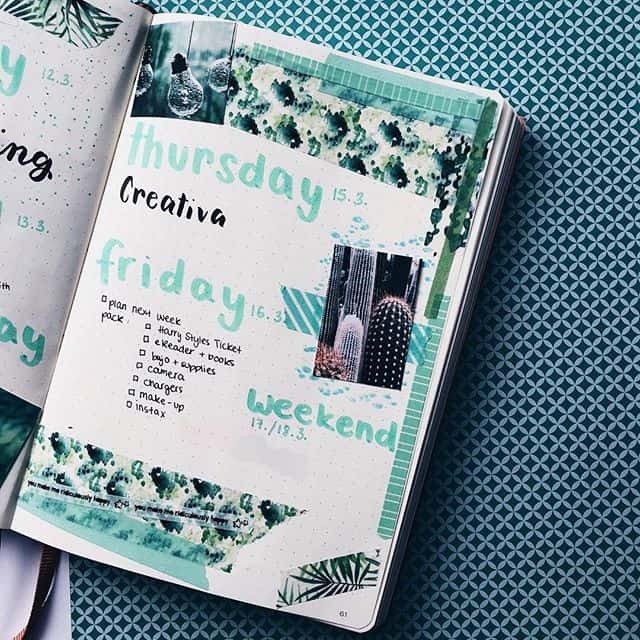 If you have tasks for the week that could be actioned on any day of the week try putting them up front before your daily logs, like in this spread. 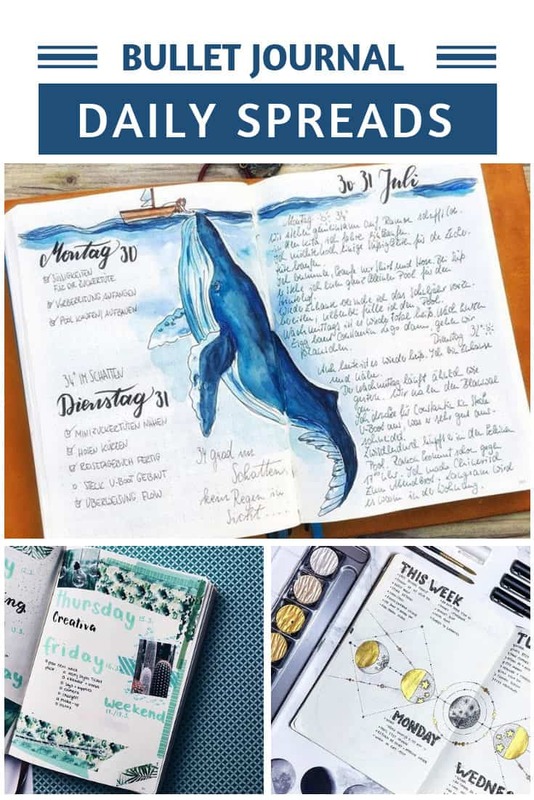 Of course sometimes when you’re looking at other people’s spreads it’s hard to know whether they planned to make sure all of their daily logs for the week actually fitted on two pages or whether it was a happy accident. But whether this is techincally a weekly spread or not I was so drawn in by that space kitty surrounded by golden stars I had to include it! How about you? 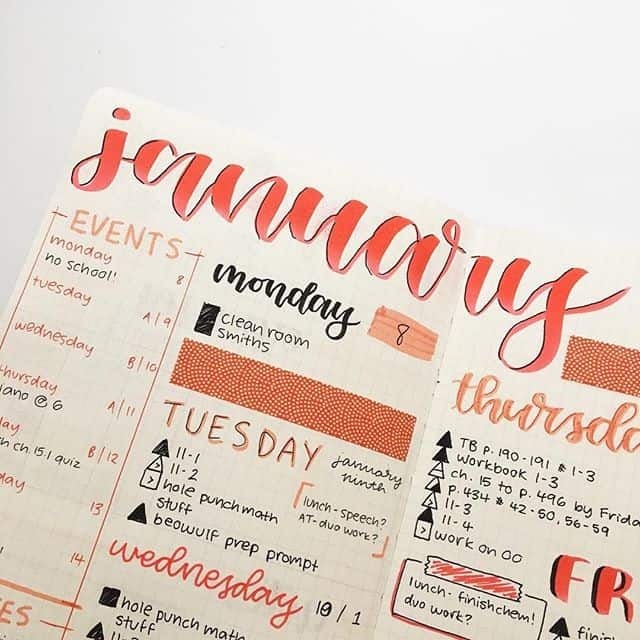 Are you a fan of BUJO daily spreads or would you rather draw out a weekly layout at the start of the week? Leave us a comment and let us know! And as always if you have any photos of your own daily logs we’d LOVE to see them so click here to share your picture!